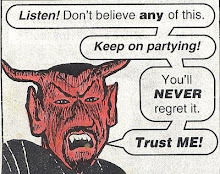 Body Actualized Control throws ridiculous all night dance parties and we're PSYCHED to have them here at Shea. 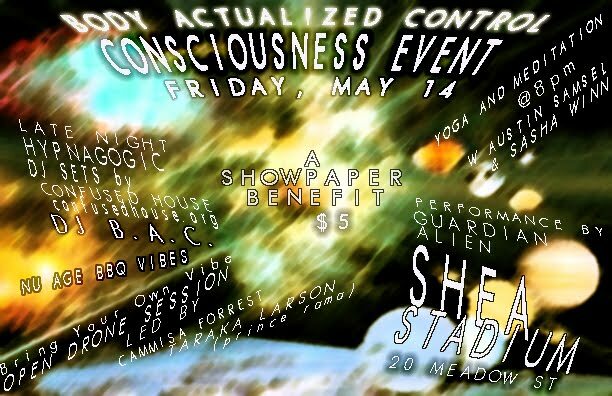 A benefit for SHOWPAPER, May 14 @ 8PM. "The night begins promptly at 8pm with group meditation and chill nu yoga led by Austin Samsel (bodyactualizedcontrol) and Sasha Winn (Blissed Out), followed by a performance by Guardian Alien (http://www.myspace.com/theguardianalien), an open drone session (bring your own vibes) led by Taraka Larson (Prince Rama) and Cammisa Forrest, Macrobiotic BBQ, and then a late night hypnagogic dance party with DJ's Confused House (confusedhouse.org) and B.A.C.  (bodyactualizedcontrol)"